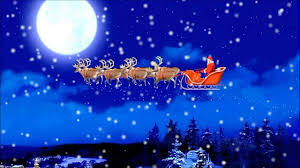 I mean the big fat man with the long white beard is coming to town! For other children though, and for many adults, Santa Claus may remind them too much of a God who threatens and judges and who does not answer their prayers for presents or even for food, housing and clothing. And actually this song is not about a benign Santa who loves children – it’s about a judge who threatens kids (or adults) to get them to behave. “You better not pout, you better not cry, you better watch out” because Santa is coming. He’s making a list, checking it twice. He’s going to find out who has behaved and who hasn’t. And in some cultural traditions if you’ve been judged to be naughty or bad you get a piece of coal in your stocking instead of the presents you told Santa you wanted. Unfortunately this is also the image many have of God — the judge who keeps a list of our sins and maybe of our good deeds too, and depending on which list is longer, we could end up with our names written in the book of life – or not. I do not think, however, that that is the message of Jesus. When Jesus says in Mark’s gospel,“Beware, keep alert; for you do not know when the time will come,” he is not talking about how many good or bad deeds we’ve done, about whether we’ve cried or pouted. He is not trying to frighten us into good behaviour like scary old Santa Claus. He’s talking about being aware, conscious, waiting for God’s work to unfold, the consummation of history. The Judaeo-Christian understanding of history is that it has an end, a goal – a time when both earth and heaven will pass away — suggesting a completely new reality that transcends all our spiritual geographies. Advent is a time in the liturgical year when we wait with expectation and hope for that eventual consummation, even as we prepare to celebrate the anniversary of the first coming of Jesus into the world. As Paul says in the letter to the Romans, “the creation waits with eager longing for the revealing of the children of God.” We believe that history has a purpose, and it is not a meaningless cycle of repetition. So our longing and waiting for God in Advent is a desire for justice on the macro scale and divine intimacy on the personal and communal level. We desire a new relationship with God and a restoration of God’s creation – a new heaven and a new earth. That is a theme from the Isaiah that is echoed in Psalm 80 – “now consider, we are all your people” the psalmist cries. “Hear, O Shepherd of Israel . . . Restore us, O God of hosts.” Restore us to a loving and intimate relationship with you. Restore our disordered relationships with each other. Restore our damaged earth. We remember that God created us, God is the potter; God guides us as a shepherd; God saves us by “the light of your countenance” – just by looking at us in love. That is why we long for spiritual intimacy, why we long for love – because we are created for love. We long to be forgiven, reconciled, accepted. And then we hear Jesus say in Mark’s gospel “Beware, keep alert . . . “you do not know when the master of the house will come, in the evening, or at midnight, or at cockcrow, or at dawn, or else he may find you asleep when he comes suddenly. And what I say to you I say to all. Keep awake.” But that doesn’t have to be scary. In fact the image of the fig tree that Jesus uses is a symbol of new life. We see the signs around us, just as the tender leaves on the fig tree herald the coming of summer, so the natural and political disturbances around us herald the coming of God. But what if the coming of God is something we already experience? Perhaps staying awake and being alert also means paying attention to the appearances of God all around us – the really good and positive things in our lives – God comes in many guises. So we long for the coming of God – the second coming of Jesus – but it’s a lot more fruitful than the coming of Santa Claus. Because we are all on God’s list – both naughty and nice. “Restore us, O God” – that’s us, not me. That’s all God’s creation, not just those in the in group who have the right interpretation of the Bible and the right theology. We are all invited into a relationship of repentance and intimacy with the God who made us and shepherds us and longs for us – not only as individuals but as nations – to come back home. So instead of “Santa Claus is Coming to Town,” we are invited to sing “Rejoice, rejoice, Emmanuel has come to you O Israel.” That is the song of Advent.